The ACRONYM x Nike Air VaporMax Moc 2 offers the best of both worlds with another collaborative project between tech wear brand ACRONYM and Nike. 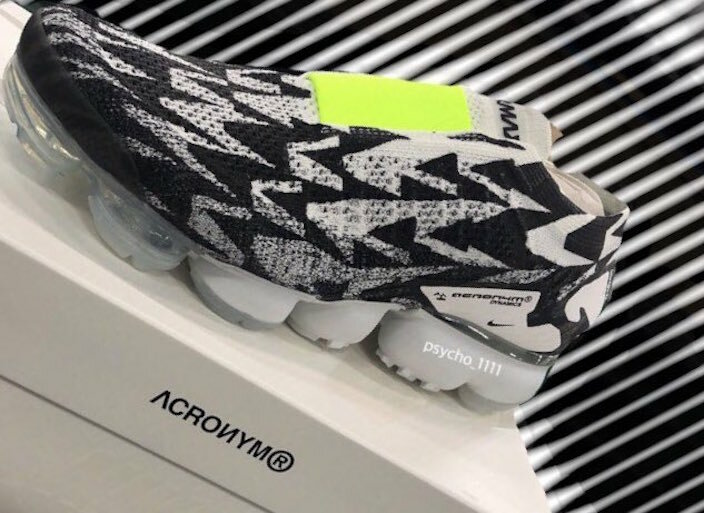 Seen here is the ACRONYM x Nike Air VaporMax Moc 2 which is an altered version of the Vapormax, featuring graphics on the uppers alongside a neon strip on the tongue. The Vapormax air unit is colored, with further ACRONYM branding on the heel. No word on when the ACRONYM x Nike VaporMax Moc 2 will release but you can expect these to retail for $220 USD.